Well, this was an interesting enough book, but it took me some time to get through everything that was happening. Through an honest mistake two girls seem to get mixed up when they are sent to the same house under different circumstances. There are so many little mistakes that make this book what it is, a cute and funny story about unknown identities. I really can say that I adored Hannah in this story, she is a cute girl who is very new to this world, and it really shows in the way she acts. What really makes everything in this story is the joy that Hannah brings to everyone around her. Hannah is such an upbeat person, who is always found singing whenever and wherever she can. I enjoy how Hannah just says what is on her mind, she is very open, yet at the same time very naive to what is happening around her. Anna on the other hand is someone who is difficult to like, she seems to be a bit stuck up, but I can see why she is so hardened to the world around her. Anna does not truly understand everything that is happening during the war, and is really only taking cues from those closest to her. 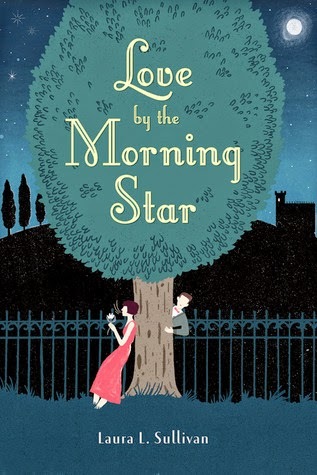 The romance aspect in this book is fun and so cute, I enjoyed how both of these girls fall in love with the same man, and yet their stories are so different. The romance for both of them starts off in a similar way and yet each of them take a different turn, they are always meeting in the dark of night and their discussions are so brilliant and cultured. Though I could see where things were going with this story, it was enjoyable. One of those books where things just seem to get worse and each mistake leads to another, yet despite these small things there is a good amount of humour to everything that happens, with all the drama you have to have some cuteness added in. I can guarantee this is not a book for everyone but it is a quick read that fans of a writer like Sophie Kinsella will enjoy.